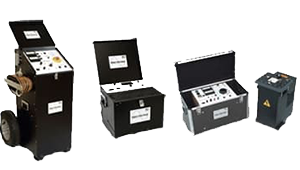 The PTS-75(F) (F5 or 6) is a CE marked DC hipot and megohmmeter in one convenient package for testing the dielectric strength and insulation resistance of electric insulation such as cable, switchgear, motors, transformer, insulators, generators, and other electrical apparatus. 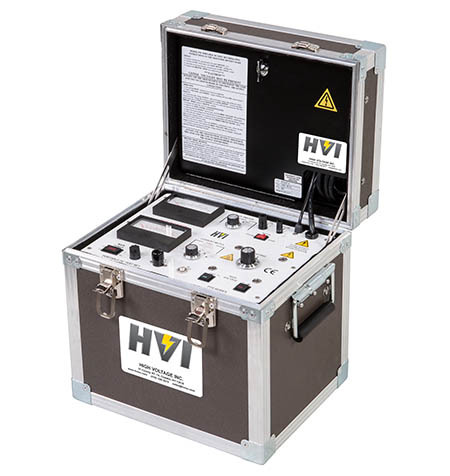 The HVI Combination 2 in 1 DC Tester Series are high voltage DC proof testers and HV Megohmmeters. Testing for dielectric strength and insulation resistance is now served with one instrument, saving money, size and weight. The PTS series is designed and constructed with field use in mind. 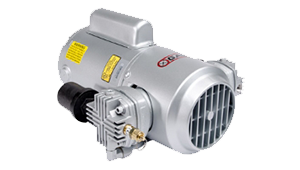 It is rugged, reliable and contains the features needed for electrical maintenance testing of new or installed electrical apparatus. * Due to the ferro-resonant designed input voltage regulator, if an inverter is used for the voltage source it must produce a “true sine wave” output and not a “modified sine wave” (square wave). This model is input frequency sensitive: either 50Hz or 60Hz but not both. Please Specify when ordering.